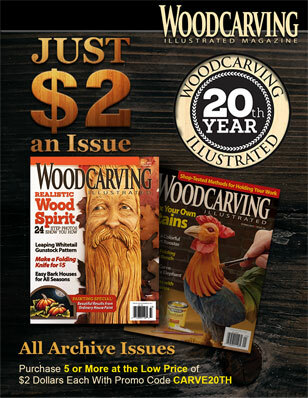 Woodcarving Illustrated magazine is published quarterly for both subscribers and newsstand readers. The editorial team passionately searches for and features interesting and creative carvers, projects, and techniques. 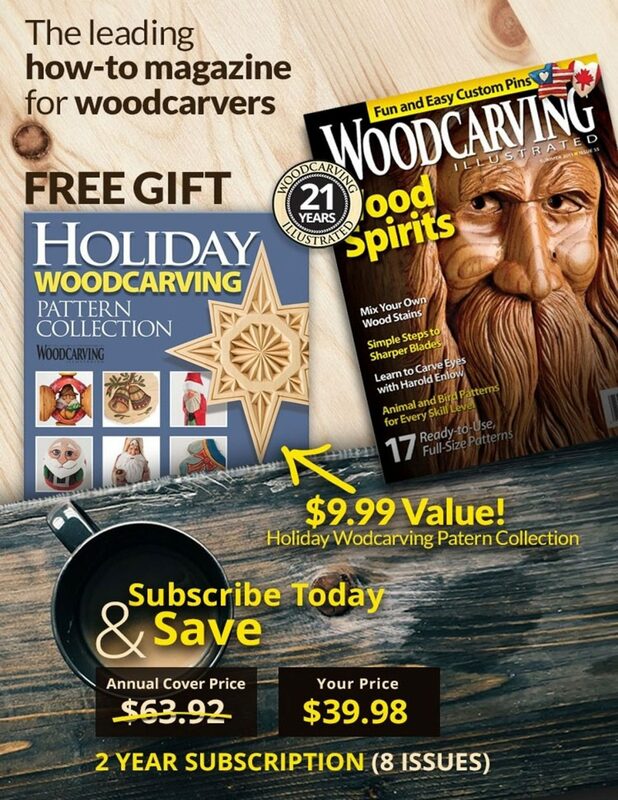 Each issue includes inspiring feature articles and galleries showing artists stretching the art of woodcarving, comprehensive step-by-step articles outlining the steps to recreate a carving, pattern profiles to inspire more experienced readers, and reviews of the newest and most useful tools. We publish three magazines, Woodcarving Illustrated, Scroll Saw Woodworking & Crafts, and DO Magazine, and more than 200 book and DVD titles. Our imprints include Design Originals and Heliconia Press. Visit Fox Chapel Publishing’s website. Alan Giagnocavo is the president and publisher of Fox Chapel Publishing. The company got its start in 1991 when Alan Giagnocavo relocated to Lancaster County, Pa., from Canada. Alan had worked at a family bookstore for many years, and moved to the United States to start a business of his own. John Atwood has been editing special-interest magazines for 30+ years, including everything from city/regional titles to national consumer publications such as Men’s Journal and Runner’s World. His work has received frequent recognition at the National Magazine Awards and has routinely appeared in the Best of American Sportswriting annual collection. He lives with his wife and their twin sons in Bethlehem, PA.
Bob Duncan’s earliest memories revolve around his father’s woodworking shop, where he attempted to chop dovetails with a flat screwdriver trying to copy what his father was doing with a sharp chisel. Since then, he’s turned to woodworking whenever he has free time. Bob joined Fox Chapel Publishing in 2004. Kaylee Schofield has loved woodworking since a gig at her college scene shop had her building staircases and frog ponds to the croons of a favorite boy band. An English graduate with a background in editing and creative writing, she joined Fox Chapel Publishing in early 2018. Jon Deck worked in a cabinet-making shop for several years between graphic design careers, and continues to fill his spare time with home-improvement projects and wood working projects. He joined Fox Chapel Publishing in 2002. Thomas Sexton has been a sales professional for almost 10 years. While he enjoys the challenges that sales brings, his greatest achievements on a daily basis are the relationships he builds with our advertisers. He joined Fox Chapel Publishing in January 2018.